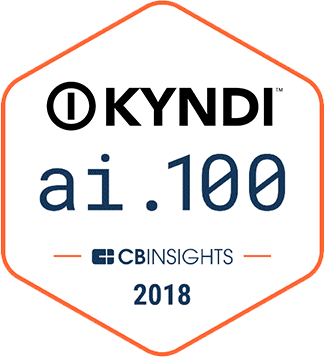 Below is the continued conversation between Kyndi™ Founder and CEO Ryan Welsh and Don LaValle, former director of Strategic Business Operations and IT at Sharp Microelectronics of the Americas, around planning and executing an enterprise AI project. Ryan Welsh: How would you identify a specific problem within an enterprise where applying AI would make a big impact? Where is the revenue coming from? Where are we spending the most time and money in supporting revenue generation? Document these processes and look at the data going in, how it is changed, and what remains in the form of stored knowledge. You will then have the situational awareness needed to answer the second question. You’ll be enabled to identify and decide on where to focus your resources and efforts. You may also start with identifying more intangible strategic concepts such as competitiveness, risk mitigation, value chain, or disruptive innovation. These initiatives will lack formal analytical, measurable, and immediate change impacts, but starting here could provide valuable insights, improve your overall situational awareness, and help you align your AI initiatives into the right area. There are three main AI technology areas for aligning an AI project with your company objectives. Each area has its own level of technical maturity, cost, and long-term viability. 1. Natural Language Processing (NLP) – Using the machine to read, search, and organize digital data/information and communicate the location and contents of information with people. 2. Machine Learning (ML) – Collecting and storing data. Building machine logic to conceptualize and learn from patterns the machines is taught to perceive as having value relationships. 3. Robotics and Internet of Things (IoT) – Connecting the IT enable AI systems to our physical world. NLP is where I would recommend organizations to start. Every organization already has digitized data repositories that hold information. The AI tools available from vendors are proven technology and functionality continues to improve rapidly. The continued advancements in web technologies (Semantic Web, JSON, Non-relational database, cognitive memory, and graphical knowledge representation) can be combined to solve problems that now require large investments of time, people, and money. RW: What are typically the biggest challenges in addressing that problem? DL: The biggest challenge is people and their bias toward creating complexity and trying to implement automation without understanding the current process, cause and effect, and impact of change. I call this problem a lack of “situational awareness.” It’s emotionally stimulating and easy to sell the team on a super-intelligent machine, doing all the work that people have been doing incorrectly and slowly for the past 50 years! There is the fear factor that creates emotional risk aversion. The technology appears too complex. Putting together a team of skilled people and keeping them focused on solving problems with tangible returns before moving on to the next exciting project is on the opposite end of the spectrum. A steady and constant leadership approach that balances the emotional “anything is possible” with “IT & AI – it’s too risky or expensive and difficult.” These are the biggest challenges most executives and companies seem to have in my experience. It takes constant validation of vision, strategy, tactical planning, and execution to get results. RW: How would you measure the success? DL: That’s a good question to ask the team before the project starts, during the project at regular intervals, and looking back after the project is completed. If your AI and NLP enable IT system is providing people in your company or your customers with information that is saving them time, reducing cost or increasing revenue, I would consider the effort worthwhile and the project successful. There is also the success that comes from failure and learning. If you manage to break even and add to your situational awareness and skill at using AI to solve problems you’ll be far ahead of those who never started or spent time and money on unfocused or emotionally driven projects.